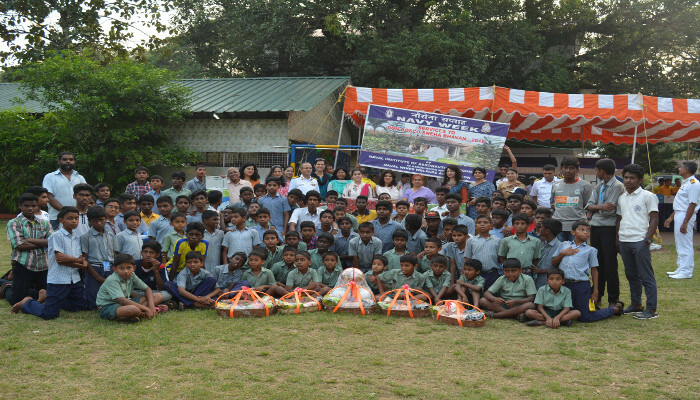 With an aim of reaching out to the underprivileged section of the society, a team from Southern Naval Command undertook a slew of activities towards improving the existing facilities at the Don Bosco Sneha Bhavan, Palluruthy – a charitable society founded in 1974, to rehabilitate homeless children and youth. Naval personnel from the Naval Institute of Aeronautical Technology undertook repair of fans, cleaning and re-painting of compound walls and repainting of cots, to improve habitability of the premises. The naval ladies from the Navy Wives Welfare Association (NWWA) actively participated in the programme. On 25 October 2018, besides the goodwill services, a medical camp was also held for overall assessment of health of the children. 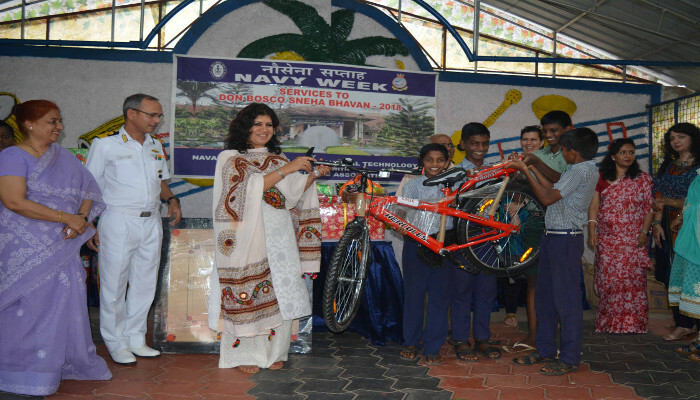 Various amenities such as water dispensers, iron box/board, tea kettles and thermos flasks, sports items like bicycle, football, carrom and chess board, as well as food items, donated by naval personnel were handed over to the children by Mrs Sapana Chawla, President, NWWA, southern region, who was the chief guest for the event. A friendly football match and telegames were the other highlights of the day, which saw participation by many children. A plantation drive was also conducted to mark the occasion. 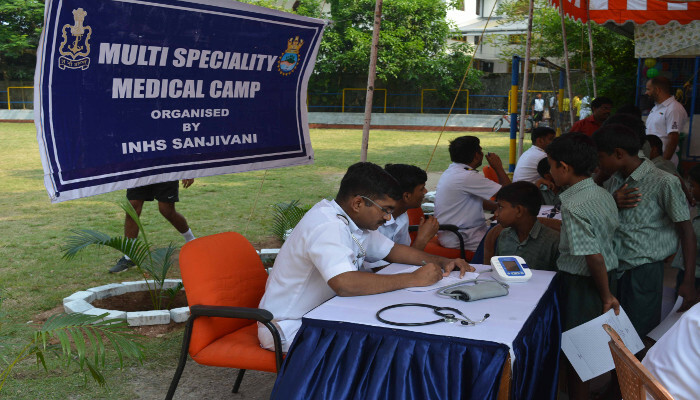 The event was an extension of many social and community outreach activities that Indian Navy engaged in throughout the year and were a precursor to the Navy Week celebrations of 2018.